Episode 61 features a discussion with astrologer and specialist in Babylonian astrology Maria Mateus about the origins of Hellenistic astrology. We primarily focus on a recent debate that has developed in the astrological and academic communities over the past couple decades over whether Hellenistic astrology came about as a result of a sudden invention, or whether the techniques and doctrines associated with it developed gradually over several centuries. For more information about Maria check out her website at LincosAstrology.com. Origins of Hellenistic astrology are a bit obscure. Lack of surviving evidence in the last few centuries BCE. Last surviving Cuneiform chart dates to 69 BCE. First Greek literary chart 72 BCE then 43 BCE (Balbillius). Rest are last decade of 1st cent BCE forward. Earliest datable texts: Thrasyllus and Manilius. Early 1st century CE. What techniques and concepts were inherited from the Mesopotamian or Egyptian traditions and passed on, versus which concepts were developed in the Hellenistic trad? What was inherited from the Mesopotamian tradition? Mundane, natal and electional astrology. Egyptians focused on rising and culminating decans = houses. 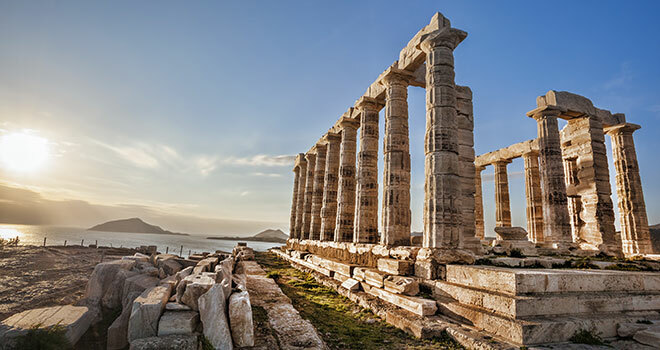 What was introduced during the Hellenistic tradition? Four-fold system of planets, signs, houses, aspects. Pingree’s definition of astrology as an issue. Astrology of signs versus astrology of causes. Continuation of sign-based astrology in Hellenistic tradition. Greenbaum and Ross – The Role of Egypt in the Development of the Horoscope, 2010. Both sides tend to go too far in their arguments. Berossus as a possible example of individual transmissions and schools. I would love to see a book about House Meanings over time. I would definitely buy that one. One of the criticisms of humanistic astrology from the traditional perspective is the expanded meanings assigned to the houses to the fault of everything then means nothing almost, and vice versa. Sign meanings over time would be interesting as well – how did the moderns end up assigning “natural” houses for example , associating the signs with the houses and in some cases very specific meaning that veers greatly from the ancients, such as anger for the first house since it is the house of Aries (Evolutionary Astro). This may not be the page for this observation but it seems to me that this changing of meanings and technique but still have valid results shows that astrology is largely divination. Truly exciting Chris and Maria. An outstanding example of real astrology. Your scholarship is impressive. As is the zod rel module. It has explained tome why some times in my life are more exciting than others. The solar lunar phase cycle does it on a different level. But the zod rel is something else again. Thank you so much for the time and energy you are putting towards elevating our passion. I have started to use it with clients thanks to your slow and steady teaching methods. Wonderful podcast, clearly & unbiasedly explaining the 2 extremes of the theories (though I didn’t find Bob Schmidt as dogmatic as the others & he also gave theorized an alternative to invention, which was that it was channeled). But ultimately the truth takes patience since there are thousands of tablets not yet translated or even discovered. Consider Sappho’s poetry found in a garbage in Egypt; the bulk of Gnostic texts discovered in Nag Hammadi in 1945; the Dead Sea Scrolls in a cave in 1946. And here’s a recent example for Cuneiform texts!